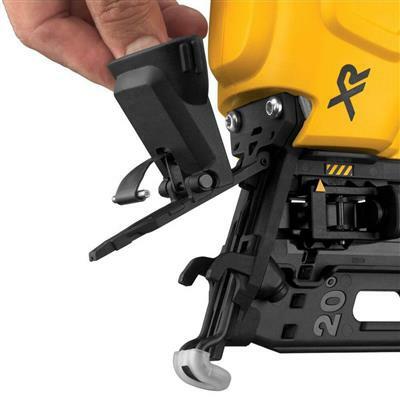 The DEWALT DCN660 drives 16-Gauge 20o angled finish nails which makes it ideal for fastening baseboard, crown molding, casing and decorative trim. 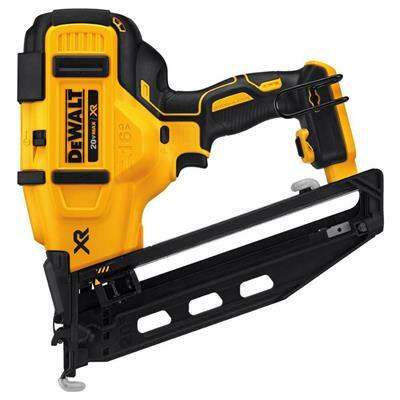 Fueled by DEWALT's 20V MAX lithium ion battery along with its XR brushless motor the DCN660 is ready to fire and designed to be your primary finish nailer. No compressors, no hoses, and no gas is required for operation so you can get right to the job without the additional expense or hassle. Drives 16ga 20-degree angled finish nails from 1-1/4" to 2-1/2"
Length 1-1/4 to 2-1/2 in.